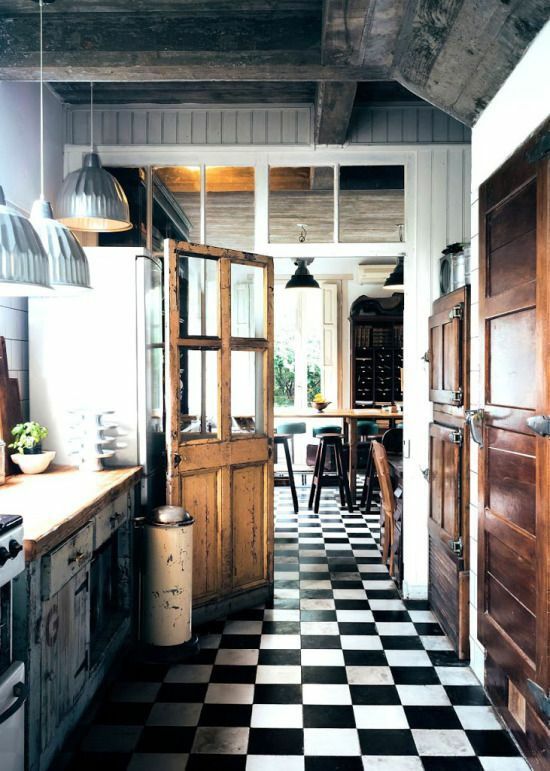 The checker black & white tiles are style IN and we can’t ever have enough of them. They go perfectly in any room, in lots of different styles and they bring elegance to any interior you add them in. 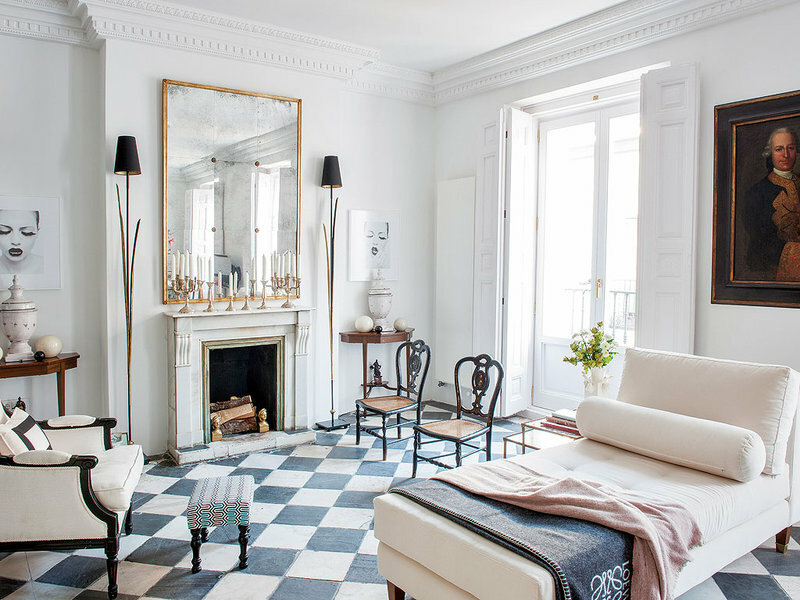 So here are out top nine favorite spaces with black and white tiles. If you want a modern kitchen mix white cabinets with black and white checkers tiles and you will have a dreamy combo. Also, you can add brown details such as raffia baskets to make the space more warm and welcoming. 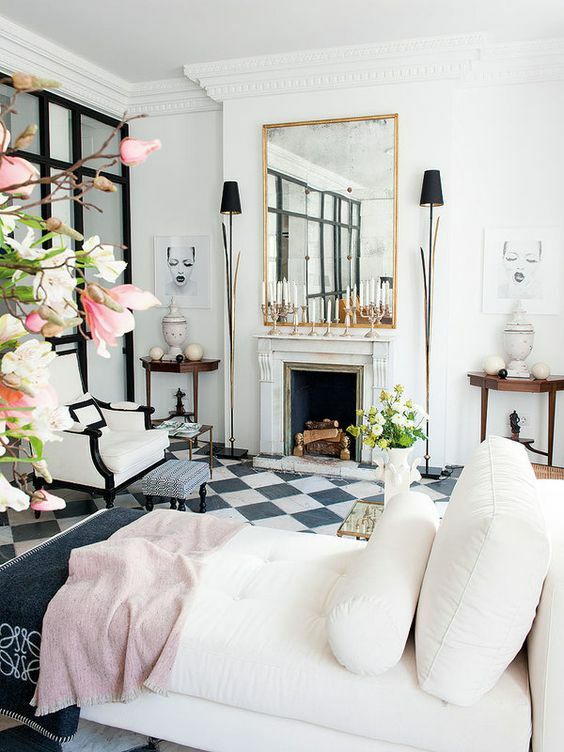 This modern living room with black and white tiles is absolutely gorgeous! Pick dusty pink details like cover, pillows, chairs or flowers to make the space look more calm and glamorous and you will have the perfect interior. 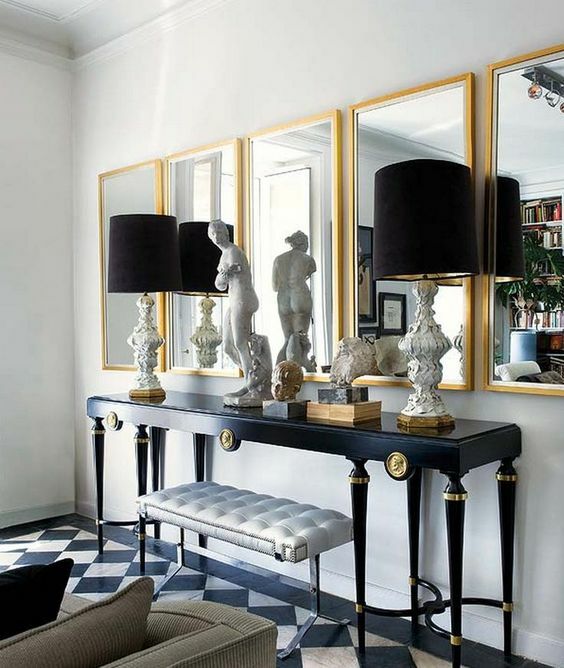 If you have a room filled with artsy deco objects and a shabby style you can pick black and white tiles. They will be the perfect match and they will make the interior even fancier! Use black and white tiles next to rooms with big windows and also next to very bold and colorful walls to create the perfect contrast. You can mix black and white tiles also with a colorful wall and create a cool or retro interior. 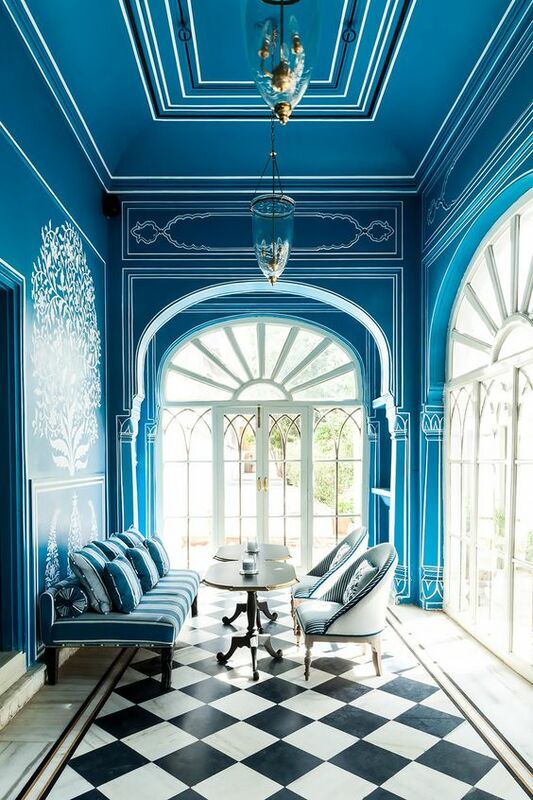 Add some modern bar chairs and you will have the perfect hang out space. Mix black and white tiles with green and you will have an elegant, but also exotic space. 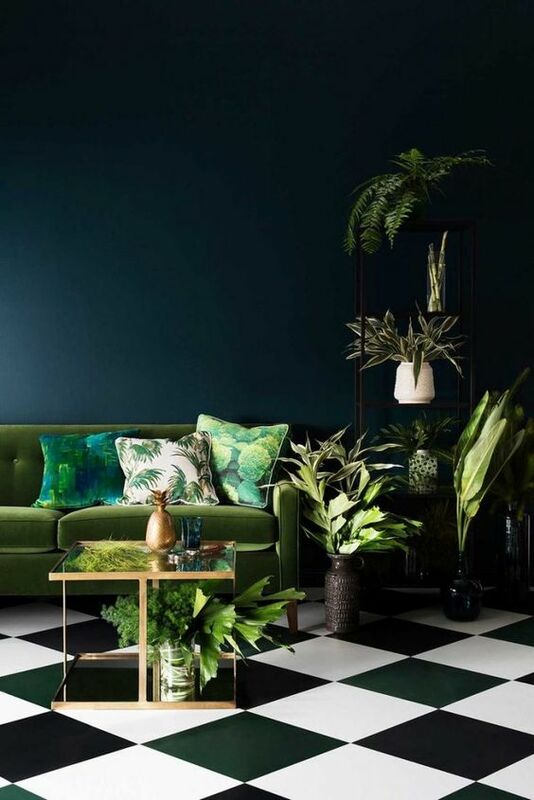 Pick a green velvet sofa, some plants or event a green work or art. 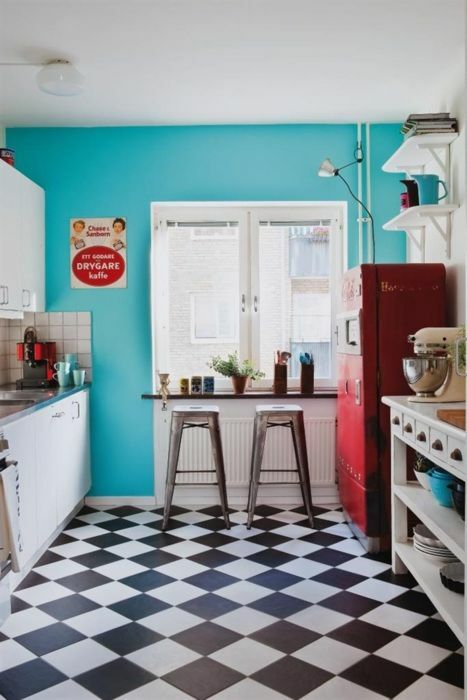 You can also create a retro interior using black and white checkers tiles. 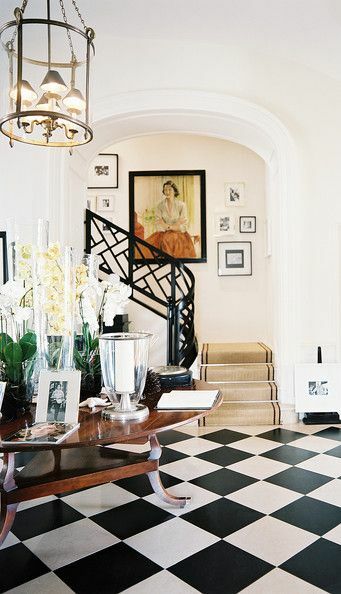 Just add some artsy retro details and you will have an elegant space that will be perfect for a hallway or living room. 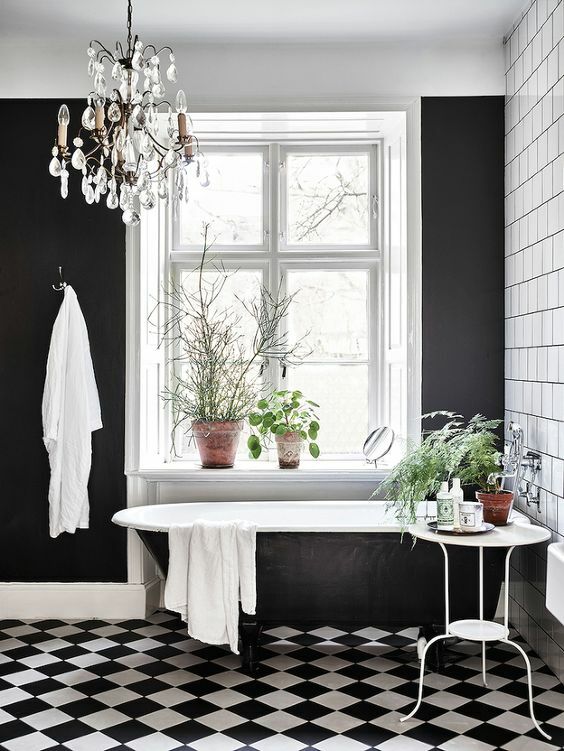 You can never go wrong with black and white tiles in your bathroom. This look will make this space more modern and also elegant, so they are perfect for an interior with a retro bathtub. 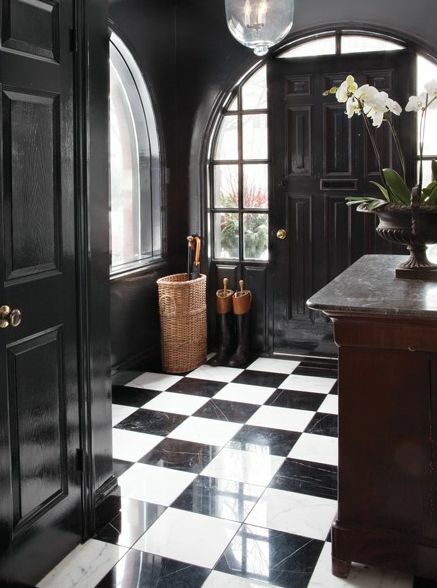 If you are looking for a classy entryway or hallway, pick black & white tiles, especially if you have black wall. This is an elegant match that makes me think of the English class and good taste, simply lovely!